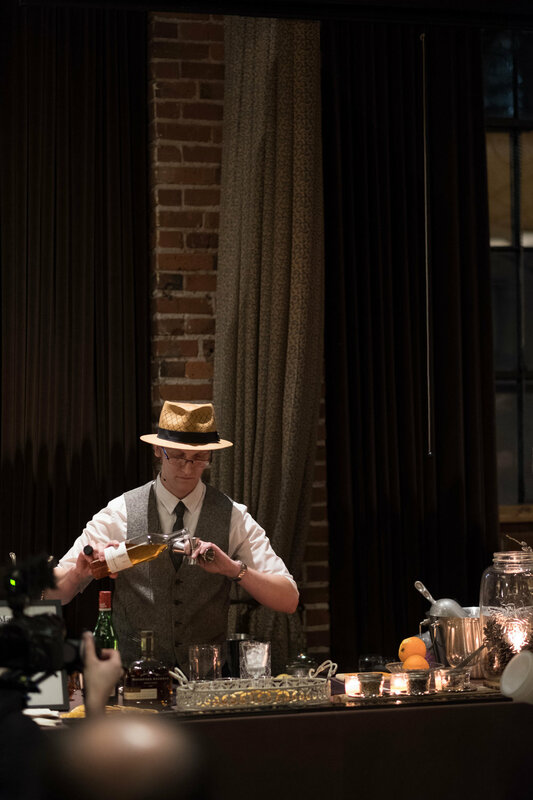 On 6 March 2017, five of Seattle's top bartenders put their creativity and cocktail crafting skills to the test at the Palace Ballroom for the Woodford Reserve-sponsored 'Manhattan Experience'. Their task - create "an original Woodford Reserve Double Oaked Cocktail that showcases the flavor profile of Woodford Reserve Double Oaked and that you would proudly serve to guests in your own bar." Creating a cocktail sounds difficult enough. 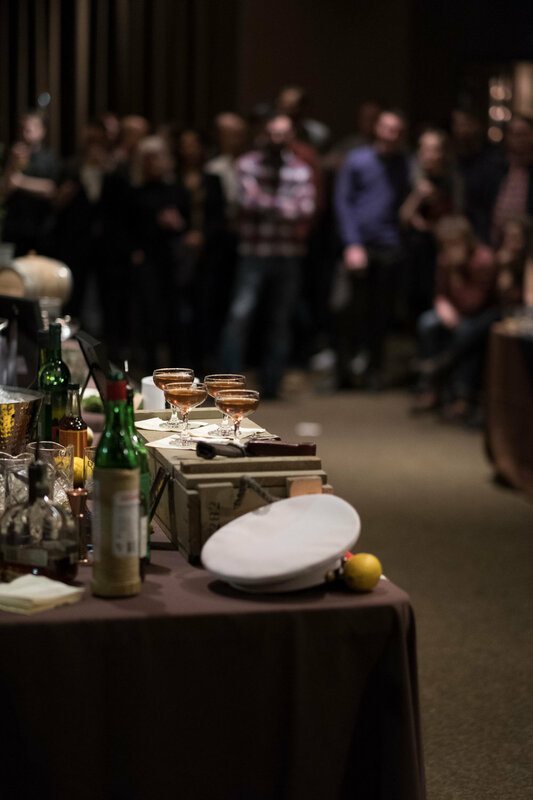 These bartenders had to create the cocktail, prepare it for a panel of judges in front of a crowd (packed with peers, friends, and potential customers), and explain how they came up with the drink and the ingredients. That's not all. To reach this stage, they also had to submit a "classic Manhattan cocktail" recipe for review. The stakes were high. The 6 March winner would advance to the next round, compete for a slot in the finals in NYC, and be flown to Kentucky to tour the Woodford Reserve distillery. The tour alone is a great prize. The historic distillery is in beautiful, rolling horse country near Versailles, Kentucky. But the talk of the evening was on the grand prize trip to the Kentucky Derby (and some good-natured local bragging rights). Witness bartender Daniel Pagard led the way. Fitting, given his background as a Marine, which also provides some context for his cocktail creation, the Halls of Montezuma. Poppy's Scott Rixe paid homage to the Manhattan with his drink, The Boroughs. The Helm's Kyle Takacs followed with his Orchard Manhattan. The Sexton's Mark Sassi reeled in the judges and crowd with Hook, Line & Sinker. Single Shot's Cody Goodwin capped off the evening with Quiet Twilight.